Just a few things I’ve seen this week. I’m trying to find myself more of a summery work wardrobe so I feel a bit more comfortable in the office. I’m either boiling or freezing because of the AC. This robot shirt from Zara must be made mine! The print is so awesome. It’s the kind of print that would make a lot of people I know question my sanity but I don’t give a damn. Plus a sheer top will keep me cool. Therefore I deem it a sensible purchase. I also picked the printed trousers as I’m definitely considering getting a pair. I usually shy away from printed trousers, but I need something that will both cover me up and keep me cool. They seem like a great way to brighten up an outfit. I just need to work on finding the right shape. These wide leg trousers are a shape I now suits me so they would be a great place to start. Speaking of getting out of my comfort zone, how pretty is this pastel shirt? It’s so pretty I think I might even go as far to try it on! 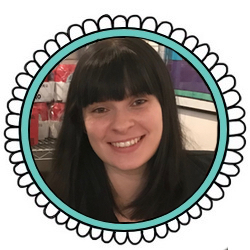 I really didn’t think pastels suited me but my gingerbread man dress opened my eyes to pastels. I’ll give them a chance. What styles are out of your comfort zone? 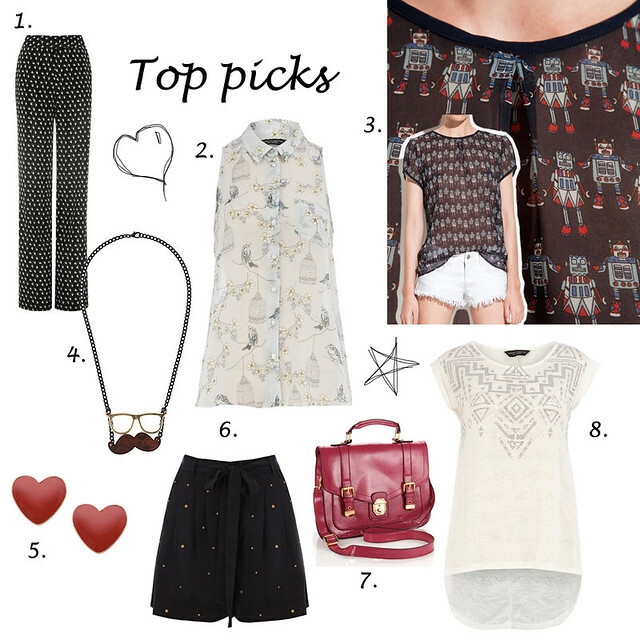 I love that robot print shirt, so cute! Pastels are a bit out of my comfort zone too but I’m gradually adding some more light things to my wardrobe, trying to stop wearing black all the time haha! I just bought the navy robot top, pondered for a moment beforehand for the same reasons as above, but then just went for it. The white/cream is a little more out there, but the navy I find is a little more subtle. They also have a dress, but it looked way too “look at me I’m wearing ROBOTS, and they’re on a DRESS too!” for my taste. ya know?